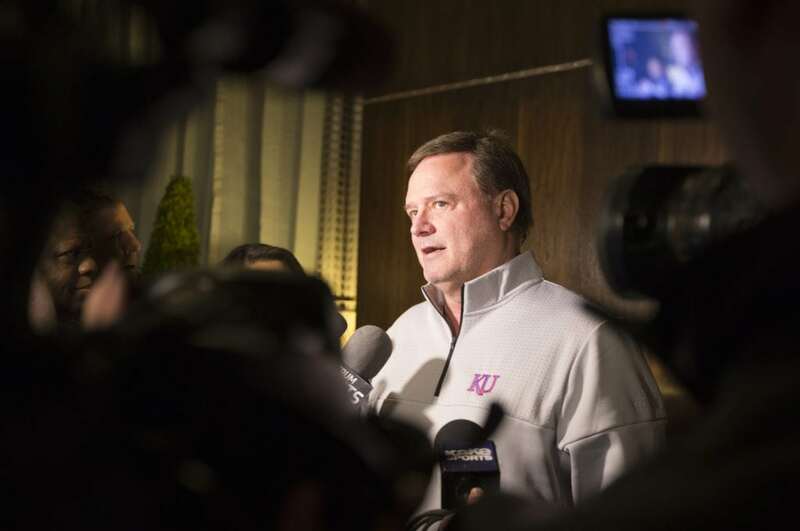 Kansas head coach Bill Self talks with media members at the Hotel Ambassador upon the Jayhawks' arrival in Wichita on Tuesday, March 13, 2018. 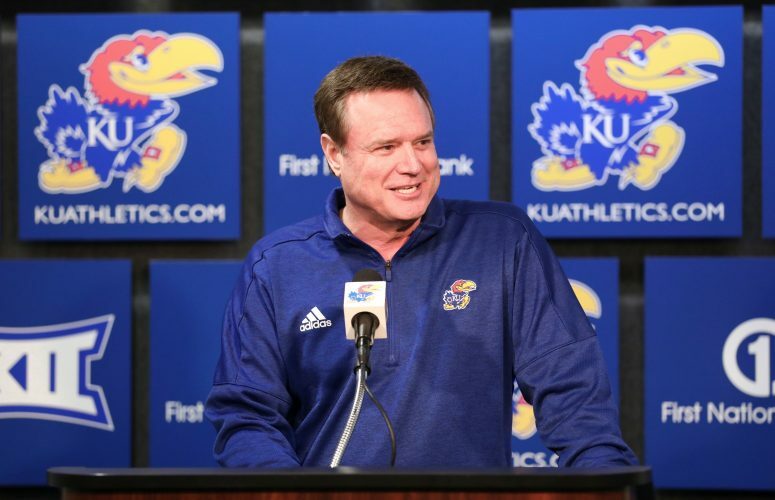 A defense attorney in the trial on corruption in college basketball argued Thursday that University of Kansas coach Bill Self knew about payments from Adidas to highly sought recruits to get them to play for KU, according to an ESPN report. 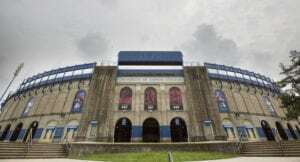 Michael Schachter, attorney for former Adidas executive Jim Gatto, said during closing arguments that Self knew about Adidas’ payments to the families of players who were led to play for KU, an Adidas-sponsored school, and that Gatto was working on behalf of the universities by doing so. Schachter argued that Self knew and asked for a $2,500 payment to Silvio De Sousa’s guardian Fenny Falmagne, according to the report. Self did not respond to the Journal-World’s request for comment Thursday. He previously said he would not comment until the trial had concluded. The prosecutors and defense lawyers finished their closing arguments Thursday. The jury will begin deliberations on Monday. 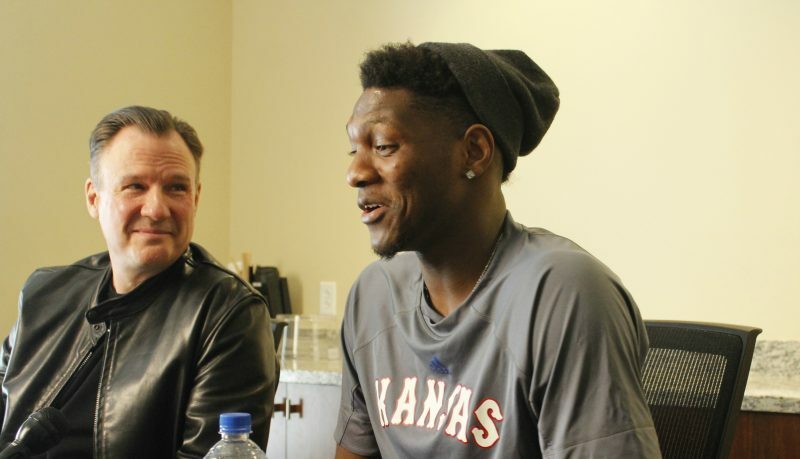 During the trial, Gassnola, a former recruiting fixer and Adidas consultant, testified that he made payments to the families of two KU players — De Sousa and Billy Preston. 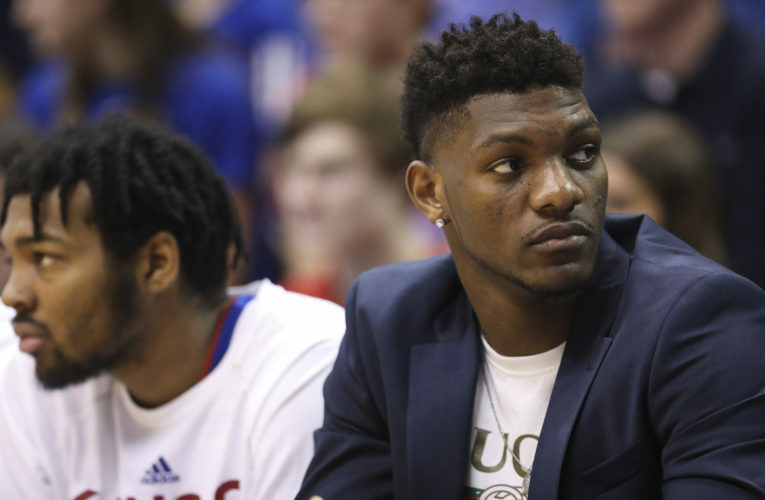 Falmagne allegedly received the $2,500 for college courses and was supposed to receive $20,000 to get De Sousa out of a $60,000 deal with a University of Maryland booster. Preston’s mother, Nicole Player, allegedly received several payments totaling $90,000. 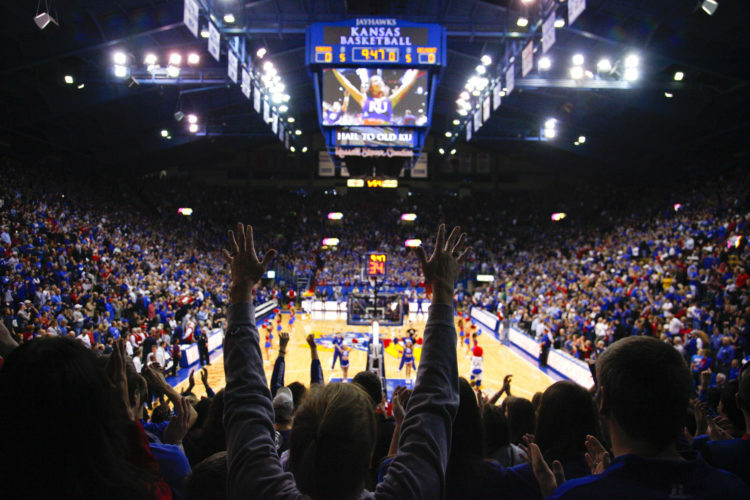 Gassnola said he never told Self or KU assistant coach Kurtis Townsend about the payments. But text messages between Self and Gassnola presented as evidence in the trial showed Self was at least aware of Gassnola’s and Adidas’ help in steering highly sought recruits to KU. Text messages dated Aug. 9, 2017, showed Townsend sending a message to Gassnola that said, “Coach Self just talked to Fenny let me know how it goes,” referring to Falmagne, the guardian of De Sousa, who is from Angola. In another text message shown in court, dated Aug. 19, 2017, just days before KU announced a 12-year agreement with Adidas, Gassnola sent a text message to Self thanking him for helping to finish the deal, according to the report. Lawyers for Gatto sought to use the texts to show that Self was aware of efforts to funnel secret payments to recruits. The attorneys also tried to use a recorded phone conversation between former amateur coach Merl Code and Townsend, but Judge Lewis A. Kaplan denied its use. Kaplan said the recording was not relevant to the case because it was recorded after the crimes of which Code is accused took place. 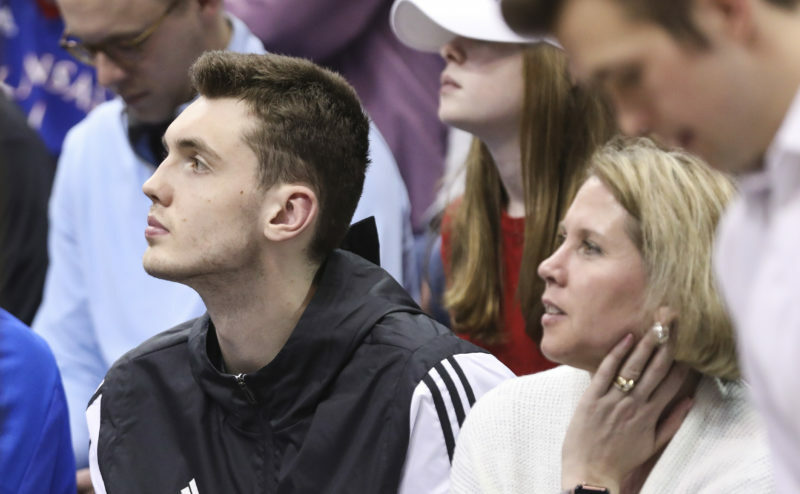 Gatto, Code and business manager Christian Dawkins have pleaded not guilty to defrauding various colleges by concealing the use of under-the-table payments of up to $100,000 by Adidas in exchange for commitments to programs that were seen as a path to big NBA paydays. Their lawyers haven’t disputed payments were arranged in violation of NCAA rules, but they argue that the schools never suffered any harm.